Jamie isn't just familiar with the latest research, he produces it. When Jamie speaks at your event you go straight to the source of some of the most cutting edge thoughts in management and psychology. But he doesn't give you a boring lecture of research studies, instead you participate in an exciting and mind-expanding discussion of possibilities and go on an arousing adventure. Even though he is a professor, the most common feedback people give Jamie after his sessions is "You don't speak like an academic", which he takes as a compliment. Dr. Gruman did a fabulous presentation for us that was engaging, educational and entertaining. We were priviledged to have with us such an outstanding speaker and researcher. Thank you Dr. Gruman. Boost explains how to recover from fatigue in your leisure time, and achieve psychological well-being, physical health, and become more effective at your tasks, ie., get a boost! "Boost has deep implications for everyone." The third edition of Jamie's market-leading book on Applied Social Psychology explains how to use social psychology to understand and address social and practical problems of all kinds. Jamie's chapter in Advances in Positive Organizational Psychology explains how to build employees' psychological capital (hope, optimism, confidence, and resilience) through the on-boarding process. Jamie's chapter in The Cambridge Handbook of Workplace Training and Employee Development explains how to incorporate psychological capital (hope, optimism, confidence, and resilience) into training programs. In his chapter in A Research Agenda for Human Resource Management, Jamie lays out a research program for studying how human resource practices foster employee engagement. Jamie's chapter in The Handbook of Employee Engagement discusses how employee engagement is influenced by the on-boarding process. 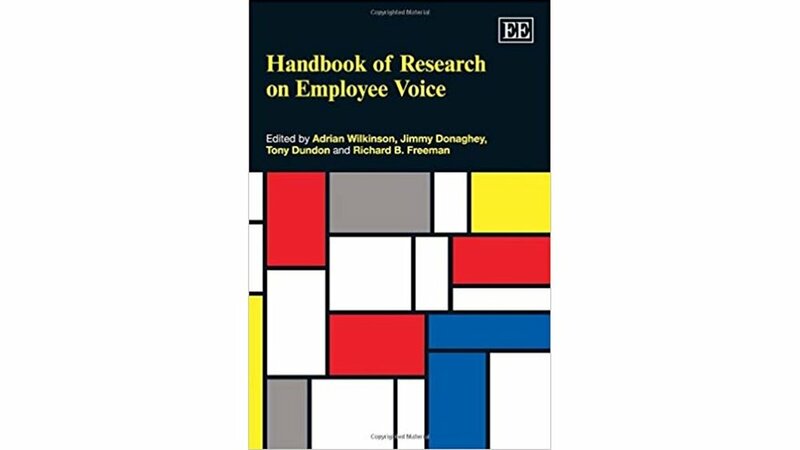 In Jamie's chapter in The Handbook of Research on Employee Voice he introduces the concept of employee voice engagement, which reflects expressing one's true self when speaking up at work. In The Oxford Handbook of Organizational Socialization, Jamie outlines the development of Socialization Resources Theory, an innovative, new approach to on-boarding employees successfully. In The Brave New World of EHRM 2.0 Jamie introduces E-socialization, and explains the pros and cons of how information technology impacts the on-boarding process. In a 2017 paper entitled Incorporating Balance: Challenges and Opportunities for Positive Psychology, Jamie introduced The Balance Framework for thinking effectively about the art of living well. In a 2015 paper, published in the journal Industrial and Organizational Psychology, Jamie discussed how incorporating mindfulness into training programs can increase their effectiveness. In a 2011 journal article Jamie introduced The Engagement Management Model - an alternative to performance management aimed at generating performance excellence. The article has been the journal's most downloaded paper since its publication. In a paper published in the Journal of Vocational Behavior, Jamie explained and demonstrated that taking initiative in organizations has different outcomes depending on whether or not initiators achieve the outcomes they seek.